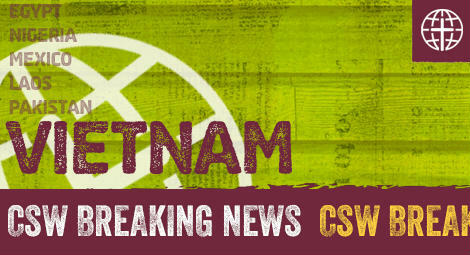 Christian Solidarity Worldwide (CSW), together with over 40 human rights and civil society organisations, has called on the Prime Minister of Vietnam to release three religious freedom defenders detained in the country. The open letter released on 6 July 2017, one day ahead of Prime Minister Nguyen Xuan Phuc’s participation in the G20 Summit in Hamburg, expresses deep concern about the detention and ill-treatment of Buddhist monk and leader Thích Quảng Độ, human rights lawyer Nguyễn Văn Đài, and Đỗ Thị Hồng, one of the leaders of Buddhist sect Ân Đàn Đại Đạo. All three are being held in some form of detention. Thích Quảng Độ is currently under house arrest, having been deprived of liberty in various forms for over 30 years, while Đỗ Thị Hồng is serving a 13-year prison sentence for “plotting to overthrow the government”. Both of their religious groups are banned in Vietnam. CSW has been advocating for the release of 49-year-old human rights lawyer Nguyễn Văn Đài since his arrest in Hanoi on 16 December 2015, on the charge of “conducting propaganda against the Socialist State of Vietnam”. Đài is a prominent religious freedom defender who has defended Christians and church leaders and has provided pro bono legal advice to religious communities. In 2007 he was sentenced to four years in prison in connection with his human rights work. After his release in 2011, he was placed under house arrest until March 2015. He was detained again in December 2015 while preparing to meet European Union (EU) delegates to the EU-Vietnam human rights dialogue in Hanoi. After Đài’s arrest, CSW met with his wife Vu Minh Khanh, who urged people outside Vietnam to “raise their voices to support her family”. The open letter calls on the Vietnamese government to “immediately and unconditionally release Thích Quảng Độ, Nguyễn Văn Đài, and Đỗ Thị Hồng and all other prisoners of conscience, […] revoke articles of the Penal Code under which the arbitrary deprivation of liberty of religious leaders and human rights defenders have been authorized, and amend the Law on Belief and Religion and other relevant legislation to bring them into line with international human rights law”.